Recently my partner has been very tired recently, and last few weeks I've gotten her this tonic drink called Yomeishu. Previously I've only heard of this drink, but never tried it, and from what I heard it's usually used to build up the strength of mothers who just gave birth. I figured if it's good for them then it should be good for her. Since I got it for her, I tried one cup for myself, just to see how it taste like. Sweet, that's the taste that hit my tastebuds first, then a warm sensation on my throat. 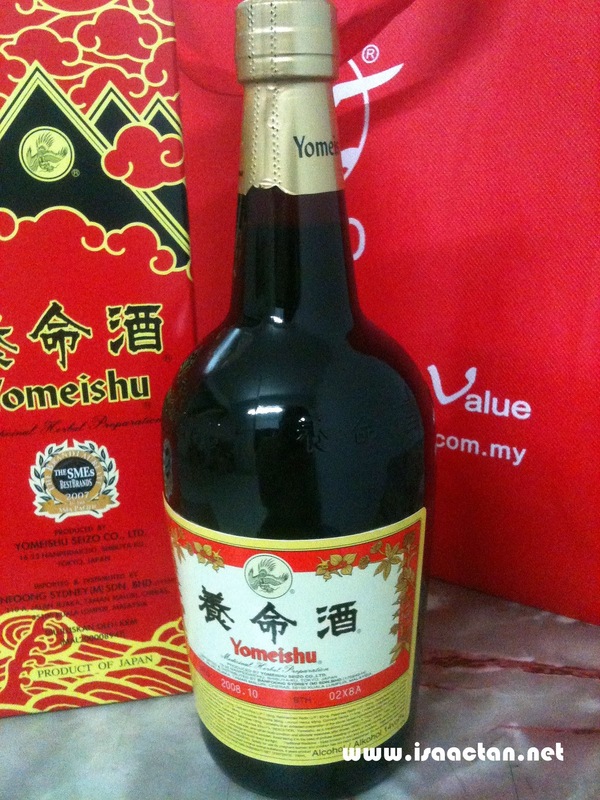 Yomeishu has this herbal like sweet taste, very much similar to the chinese red wine. To find out more about Yomeishu's benefits, I did some digging at Yomeishu's Japan website (http://www.yomeishu.co.jp/english/about/index.html). I like the way they describe the drinking method for Yomeishu, very cute. Have a look below. Well, I really hope this drink will work as I don't wish to see my loved ones feeling weak all the time. ya, it' a healthy drink. @ wenn: true, you've taken it before right? it does warm up your throat and upper chest after taking it. does it work? Am taking D.O.M but find it a bit too "heaty" for me. @ Small Kucing: Not sure if it does work but it did help her to feel more energetic. DOM and Yomeishu is very similar. From what I found online, Yomeishu has more herb taste to it, while DOM has a stronger wine taste to it. Your partner has been feeling tired? Why ah? Wink! Wink! Muahahahaha!!! And then you drank a cup? Finish lor like dat! Sure your partner must be even more tired after that. ROTFLMAO!!! Shouldn't have given you that link - later become strong like a lion, your partner will need more bottles of Yomeishu lor... Hahahahaha!!!! They have a very creative advert whereby even the penguins are not scared of cold after drinking Yomeishu hehe. can diabetes take dom or yomeishu? can diabetes take D.O.M or Yomeishu?